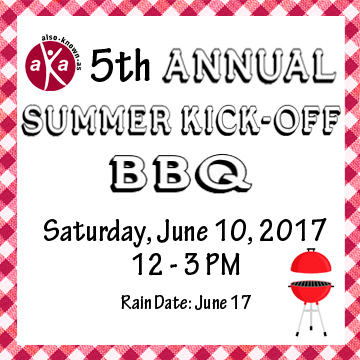 We hope you will join Also-Known-As as we kick off the summer with out 5th Annual BBQ! This year, we'll be infusing cultural crafts and games into our Annual BBQ! Click here to RSVP! WHO: International adoptees, family, friends, special guests, everyone! WHAT: BBQ, picnic, games ... a little bit of everything! RSVP: Please click here to RSVP. Please RSVP FOR ALL ATTENDEES, so that we can ensure there's enough food for everyone.